A pair of Bob Baffert-trained distaffers will be retired to the breeding shed after crossing the line last and second-last in Saturday's Breeders' Cup Distaff at Churchill Downs, reports drf.com. Vale Dori (Asiatic Boy), who finished 10th, will head to Hill 'n' Dale Farm and be bred to Triple Crown winner Justify in the stallion's first season. Mating plans are undecided for champion Abel Tasman (Quality Road), who retires with a record of eight wins in 16 starts, including six Grade 1 victories. She earned a total of $2,793,385, but was beaten 22 lengths to finish last in the Distaff. She will be sent home to co-owner and breeder Clearsky Farm. After Abel Tasman's disappointing Distaff run, both Baffert and jockey Mike Smith lamented their inability to find anything wrong with her. 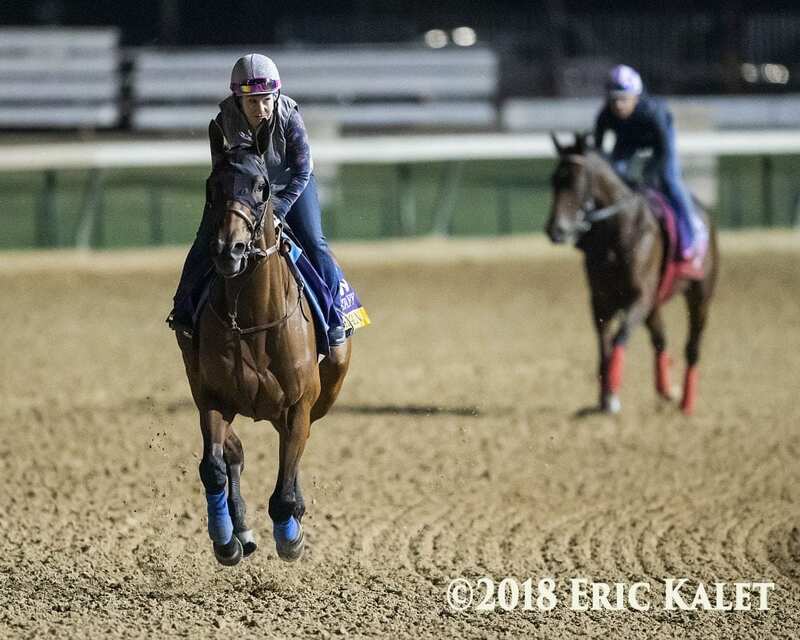 This entry was posted in Bloodstock, NL Article and tagged Abel Tasman, Bob Baffert, Breeders' Cup, Breeders' Cup Distaff, churchill, clearsky farm, hill 'n' dale, Justify, mike smith, vale dori by Paulick Report Staff. Bookmark the permalink.